Wales are back home in Cardiff for their first home game of the 2019 Six Nations Championship. It’s a tough assignment as Wales look to upset the title favourites, Eddie Jones’ formidable England unit. Superbly coached by New Zealander Warren Gatland, Wales are extremely capable of upsetting the English. For their part, England’s awesome displays have them installed as deserved favourites to take out the Six Nations this year. It will be a punishing affair befitting of a Rugby World Cup Final later in the year and it could be very close. Wales to upset England spurred on by their fanatic home crowd support. 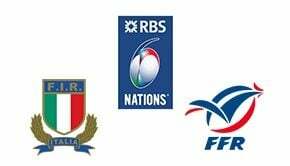 If you believe Wales have what it takes to win the Six Nations championship this year, our panel of odds-analysts have researched and found the very best odds on the market from popular betting sites for that very scenario of an upset Welsh Six Nations title win in 2019. Played 131. England Won 62. Wales Won 57. 12 Draws. England won a defensive match 12-6 over Wales in the 2018 Six Nations. 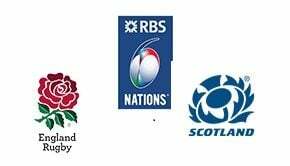 In the 20 years since the Five Nations became the Six Nations, England have 6 Championships and Wales 4. England have never won the Wooden Spon in the Six Nations and Wales only once (2003). Current English fly-half, Owen Farrell, is the second-highest English point scorer of all-time (second to all-time great Jonny Wilkinson). This match pits World-Ranked Number 3 (England) & Number 4 (wales) teams. If Wales win, they will replace England at Number 3.